4POSTAGEDEAL when you check out. Hurry, this is good till 10-03-2013. 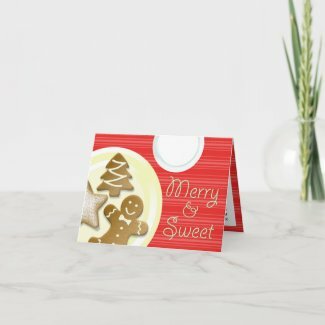 $4 off the Zazzle Custom Stamp sheet net sale price will be deducted when one or more qualifying Zazzle Custom Stamp sheets are purchased and the coupon code 4POSTAGEDEAL is applied at checkout. For Zazzle Custom Stamps, the net sale price is the difference between the price of the Zazzle Custom Stamps (excluding shipping and taxes) and the face value of the postage. Offer is valid through October 3, 2013 at 11:59pm PT. This promotional offer may not be combined with any other Zazzle promotional or volume discount offers. If a volume discount applies to your order, you will receive either the discount set forth in this offer or the standard volume discount, whichever is greater. Offer valid on Zazzle.com only. Save $8.80 off each sheet custom postage when you use code: ZPOSTAGESALE during checkout. This Thanksgiving deal will end 11/24/2011. 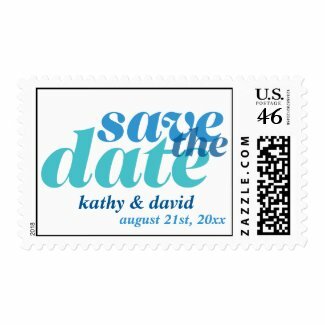 $8.80 of the Zazzle Custom Stamp net sale price will be deducted when one or more qualifying sheets of Zazzle Custom Stamps are purchased and the coupon code ZPOSTAGESALE is applied at checkout. The net sale price is the difference between the price of the Zazzle Custom Stamps (excluding shipping and taxes) and the face value of the postage. Offer is valid until November 24, 2011 at 11:59pm PT. This offer does not apply to past purchases and may not be combined with any other Zazzle promotional or volume discount offers. If a volume discount applies to your order, you will receive either the discount set forth in this offer or the standard volume discount, whichever is greater. Offer valid on Zazzle.com only. Use code CARDNPOSTAGE and save 50% off all greeting cards / photo cards and 10% off all postage stamps. There is no better time than now to get a head start on holiday mailings. Hurry, this deal will end on 11/20/2011. Get $5 off any custom postage. Tis the season to get ready with holiday mailings. Use code CUSTOMPOST11 during checkout. This is only good for today so hurry and find your design! 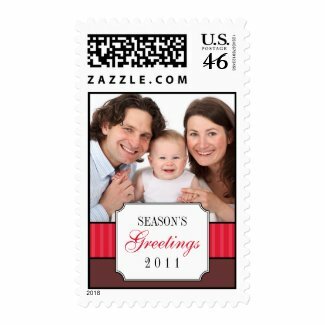 $5.00 of the Zazzle Custom Stamp net sale price will be deducted when one or more qualifying sheets of Zazzle Custom Stamps are purchased and the coupon code CUSTOMPOST11 is applied at checkout. The net sale price is the difference between the price of the Zazzle Custom Stamps (excluding shipping and taxes) and the face value of the postage. Offer is valid until October 21, 2011 at 11:59pm PT. This offer does not apply to past purchases and may not be combined with any other Zazzle promotional or volume discount offers. If a volume discount applies to your order, you will receive either the discount set forth in this offer or the standard volume discount, whichever is greater. Offer valid on Zazzle.com only. Get $6 off all custom postage, use code: ZBDAYPOSTAGE during checkout. This is only good for today July 15th 2011. See more wedding postage here. ONE DAY ONLY, get 75% off cards, labels and invitations. Add some finishing touch with custom postage, which are $5 off. Use code: JINGLESALE46. This is good through Dec 1st, 2010. 75% of the card, label sheet, and/or invitation net sale price will be deducted when one or more qualifying card, label sheet, and/or invitation items are purchased. $5.00 of the postage sheet net sale price will be deducted when one or more qualifying postage sheet items are purchased. The coupon code JINGLESALE46 must be entered during checkout to receive the offer. The net sale price is the price of the product (excluding shipping and taxes). Offer is valid through December 1, 2010 at 11:59 PM PT. This offer does not apply to past purchases and may not be combined with any other Zazzle promotional or volume discount offers. If a volume discount applies to your order, you will receive either the discount set forth in this offer or the standard volume discount, whichever is greater. Offer valid on Zazzle.com only. To qualify for this free shipping offer, one or more Zazzle products must be purchased with a net sale price equal to or greater than 35.00 dollars. The free shipping offer is for economy (or standard if economy is not available) shipping to U.S. addresses only. Offer does not apply to shoes. Shipping charges will apply to oversized orders and orders being shipped on an expedited basis or outside the U.S. Offer is valid through December 10, 2010 at 11:59pm PT. Your order must be placed during that time to qualify for this special offer. This promotional offer may not be combined with any other Zazzle promotional or discount offers. Offer valid on Zazzle.com only. Save huge on custom postage this Thanksgiving! Get $8.80 off $0.44 custom postage sheets (sheets of 20). 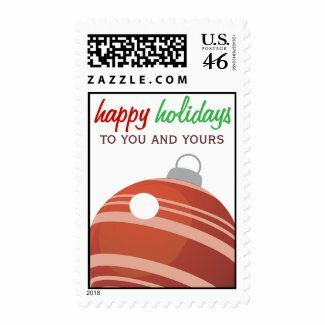 Enter code: THANKPOSTAGE at checkout in the "Zazzle Coupons/Gift Certificates" box. This deal is valid through November 25th (turkey day). If you are a fall/winter bride, this is your chance to get tremendous saving on custom wedding postage. Browse Christmas postage and wedding stamps now. Know someone who is a huge Star Wars, Disney or Harry Potter fan? Those famous characters are available on custom postage! These fun stamps makes unique and practical gifts that your recipients will be proud to use. Get your friends and family's favorite characters. Browse Star Wars postage, Disney postage and Happy Potter postage now. 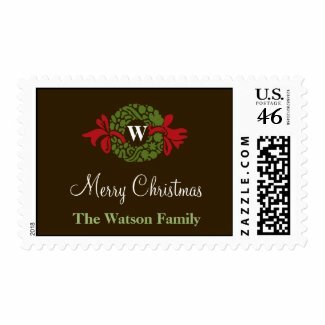 * $8.80 discount applies to one or more sheets of $0.44 Zazzle Custom Stamps. Enter promo code THANKPOSTAGE at checkout to receive the discount. Offer is valid from November 24, 2010 through November 25, 2010 at 11:59pm PT. This promotional offer may not combine with any other Zazzle promotional or volume discount offers. If a volume discount applies to your order, you will receive either the discount set forth in this offer or the standard volume discount, whichever is greater. Offer valid on Zazzle.com only.